We are the fourth owner of this Beautiful 1993 C-2 Cabriolet, It has never been damaged in any way,never smoked in,and has been Serviced and Maintained to the Highest Standards which i have records back to 2000, the Books are Dealer Stamped up to 89k miles,recent owner replaced Top Motors,installed New Koni Shocks with H&R Springs and a Fabspeed Muffler,Resealed Timing Covers and lower Valve Covers and Crank Seal,New Tires,Complete Tune-Up,Shift Rod Guides all within the last 3000 Miles,the car also has a very Nice Keyless Entry and Alarm System,Books and Two Keys are Present,the Paint is Excellent and Original,the Tan Interior is also in Excellent Condition as is the Black Convertible Top,Runs and Drives Perfect with No Stories. VISIT OUR WEBSITE AT WWW.ADCOXIMPORTS.COM FOR MORE PICTURES!! 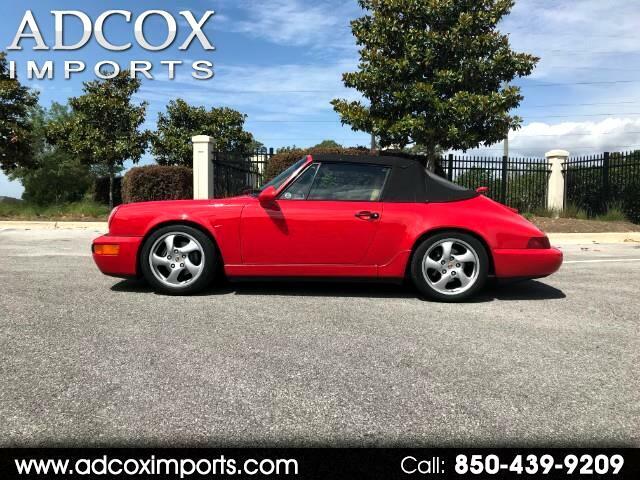 Message: Thought you might be interested in this 1993 Porsche 911.